The other day while I was wandering around the charming Orticola Flower Market in Milan I picked up a bag of Goji berries at an organic fruit tree stand. I think we’ve all heard, over and over again over the past years, how healthy and beneficial these berries are for our health. To tell you the truth I was actually avoiding them due to all the hype (and the fact that I read you’d have to eat a truck full to reap any sort of special health benefits from them). In any case, I was hungry and the berries were there at the right time and place. I have to admit that when I tried them I was pretty disappointed with the fact that they are….tasteless. 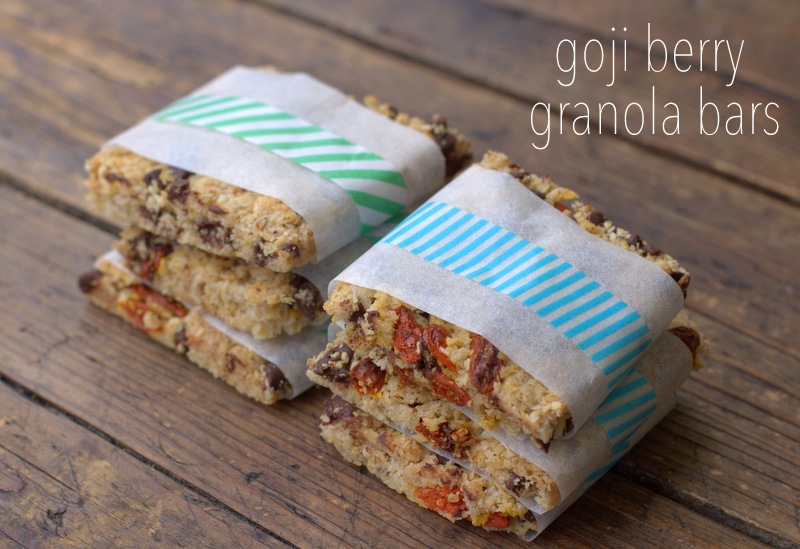 Seriously, I think cardboard has more flavour than those goji berries. I was expecting something sweeter and with a rich flavour (especially since the berries have such a beautiful dark brick orange-y red colour). So yesterday when I was looking for something to bake for the kids I decided to try and use up some of the berries (in order to make them a bit more edible than straight out of the bag). Since they were quite dry I decided to soak them in a little bowl of apple juice for about 10 minutes before using them. And the berries actually came to life. They became soft and plump and the apple juice brought out a distinctive flavour that I didn’t taste before. It’s possible I ruined all the health properties of the berries by soaking them but it was worth it. After years of trying to track down my favourite vanilla oil from the Body Shop I was told that it is officially not available for purchase anymore. I wore that perfume since my early 20s and absolutely loved it (especially since it’s one of the only fragrances that I could wear without the constant sneezing, watery eyes and headaches). And I used to get so many compliments as well! The scent was really a perfect mix between sweet with a hint of spice and was mild enough not to be too overbearing. Besides the odd comment about smelling like a batch of freshly baked chocolate chip cookies I really loved everything about that oil. So after seeing it on ebay for $150 a bottle I finally decided that I needed to try my hand at perfume making. And in the end I have to admit that it’s quite simple. All you really need is lots of patience to get you through the 4-6 weeks of waiting until it’s finished. Patience is definitely not my strong point so I actually found that the most difficult part. The finished product has a really lovely deep vanilla scent that actually lasts for quite a long time. I use it as a body perfume, room freshener and bath oil. I’ve even been know to put a bit on our beloved cat Birdie because, well, he stinks. Everything you need to make this simple Vanilla Perfume Oil is shown in the photo above: vanilla beans, vodka and jojoba oil. This past Christmas a good friend of ours brought us some dates back from his recent trip to Algeria. I’m going to be honest here and tell you that I thanked him and then proceeded to hide them away at the back of my baking cupboard. I’ve had a thing against dates that goes back to childhood. My mother and grandmother would always sneak them into various sweets and desserts or try and get me to eat them straight-up. It was torture. Just the look of those dark brown sticky LARGE looking raisins really made my stomach turn. But I’m happy to announce that at 39 years old I’ve finally matured and realised that dates aren’t all that bad actually. I’m still not interested in eating them straight-up but can admit that added to certain dishes they can really enhance the taste and texture (including a mind-blowing Lamb and Date Tagine we ate in Morocco). So a few weeks ago I dug in the back of my baking cupboard and got out the box of Algerian dates. I decided I wanted to try to make a fudge chocolate cake and thought the dates could be a perfect way to intensify the flavour (and make it a little bit healthier?). And the result was delicious. And keeping with family tradition I did not tell my kids the secret ingredient in the chocolate cake they were so happily enjoying. This recipe seems quite fussy with all of the different steps and bowls that have to be used but it really is quick to make and so worth it. The addition of cinnamon with the chocolate and dates makes it a really deep and rich cake. I’ve proclaimed my love of the chocolate and cinnamon combination here in the past when I made these Chocolate and Fresh Cherry Cakes with Cinnamon. Valentine’s Day is fast approaching and the internets are abuzz with everything from heart shaped foods, to quirky Valentine’s cards to the ULTIMATE gifts to make your loved ones swoon. Personally I like to keep the whole holiday pretty low-key and relaxed (easy here in Italy where it’s not so celebrated). I usually bake something sweet (and yes, heart shaped) and maybe make a little card or handmade gift to leave on the breakfast table for when the family wakes up. 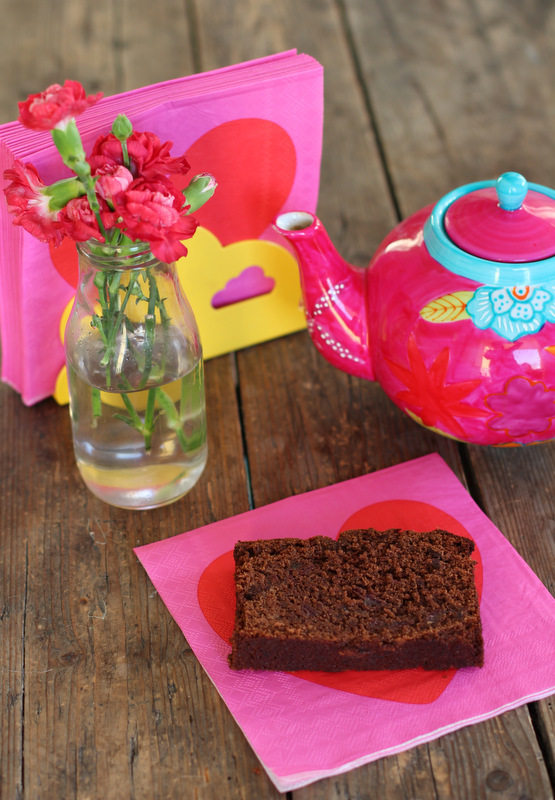 Here are a few of my favourite V-day recipes, diy projects, Valentine’s inspiration and cards that will make you giggle. For over a month my lovely friend Giova has been posting a handmade heart a day on her blog One Bunting Away. She is a talented embroiderer and paper artist and I’ve really loved reading each and every heart post. Read her passionate Valentine’s Day manifesto here. These seemingly rude Valentine’s cards from Etsy Shop Sunny and Susan really make me laugh. 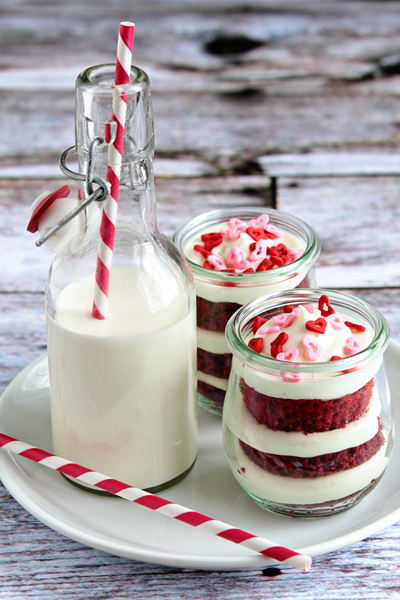 I’m going to try and make these Red Velvet Cupcakes in a Jar (because we all know that desserts in jars taste so much better!). And as I do every year I’ll also whip up a batch of my grandmother’s rich and buttery Brown Sugar Shortbreads. And I’m thinking this heart shaped bacon and heart shaped egg in the hole would be perfect for a Valentine’s breakfast or brunch (although I think I’ll pass on these Weiner and Cheese hearts). This round-up of Nerds in Love Valentine’s cards by Mighty Girl had me in stitches. 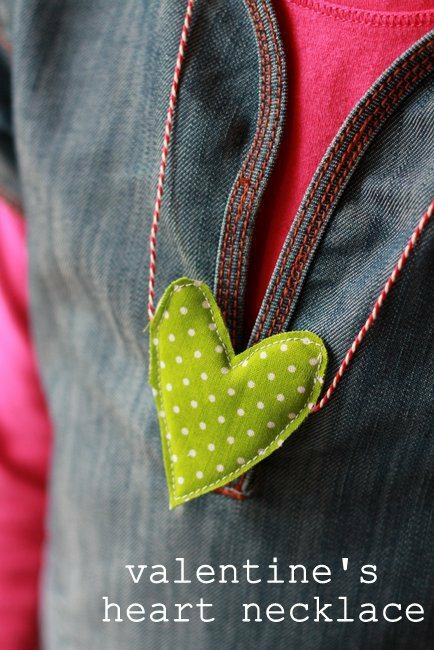 Last year my daughters and I sewed up some of these little puffy heart necklaces for their friends. Easy to make and really cute to see a little gaggle of girls wearing them. These necklaces were featured on some really great Valentine’s round-ups here, here and here. It’s a cold and rainy day here in Northern Italy. We had a very much anticipated snowstorm last night that had lots of local school kids crossing their fingers in their sleep for a day off school. Unfortunately the snow turned to rain and the school buses left at their usual time. There were quite a few disappointed kids heading to school this morning. After months of mild and sunny days I have to get used to these lower temperatures and the need to wear scarves and winter coats. In general I’m not a huge fan of the cold but I do love these chilly days where I get to hole up in my house with the fireplace on and putter around keeping myself busy sewing, baking and crafting. I know the novelty will wear off pretty quickly so indulge me while I wax on about my love for these wintery days. Today I wanted to tell you all about a great way that you can keep positive, creative, warm and busy through whatever kind of winter you’re experiencing. A few months ago some very talented artists, designers, bloggers, mothers and overall amazing ladies put together an incredible e-book called Handmade Winter with over 50 winter-inspired crafts, activities, recipes, entertaining ideas and more. They’ve included everything from how to brew the perfect cup of tea to a maxi-skirt sewing tutorial to instructions on how to make yourself a leather and chain chevron necklace. One of my favourite things about this book is the variation it offers. There is something for everyone (husbands and kids included). This book will help us all get through these long cold wintery months (especially thanks to the Warm Masala Chai recipe found on page 25/26!). Handmade Winter costs $15 (US) and is easily purchased and downloaded on-line. Today I have a little re-post from last Christmas. My lovely friend Judith from the amazing blog Joelix wrote this guest post for me after I had hand surgery a few days before Christmas and was unable to do anything for close to six weeks. These Mini Mincemeat Cheesecakes have been a big hit here on Jillian In Italy (and Pinterest) and I’ve heard from several readers that they are absolutely delicious. I have them on my to-do list for this coming week-end. 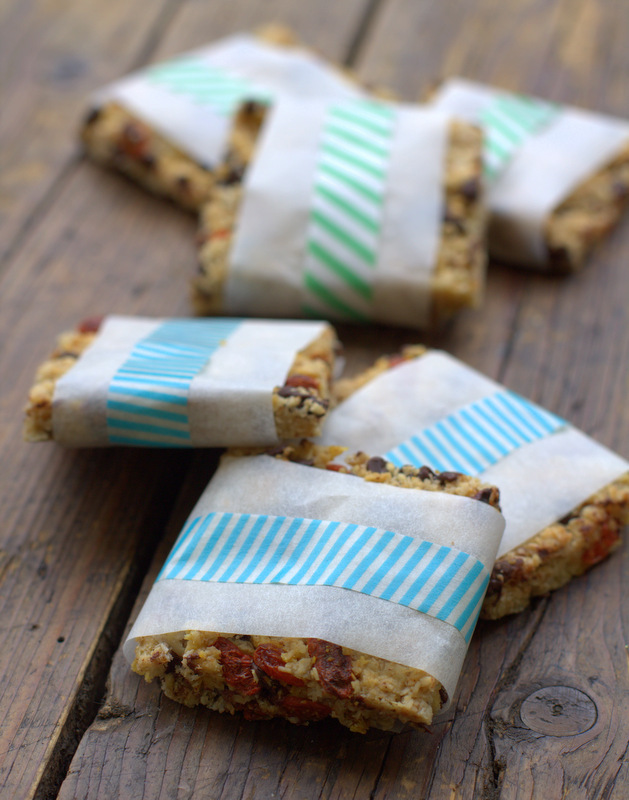 Click on photo for last year’s post and free downloadable recipe. Many thanks again and gros bisous to you Judith! 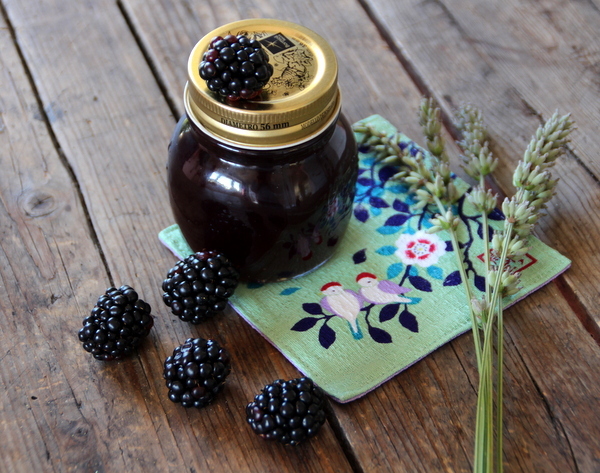 The other day I was in my local fruit and vegetable shop and I noticed they had some gorgeous local blackberries available. The deep purple (almost black) berries were fat and plump and perfectly ripe. I knew I had to buy them but wasn’t yet sure what I would do with them. When I got home I took a little tea break in my garden and noticed my neglected overgrown lavender plants. Usually I’m not a huge fan of using lavender in cooking and baking but I thought the dainty lavender perfume would match perfectly with the tart blackberries without giving it that soapy aftertaste that I’m not so fond of. 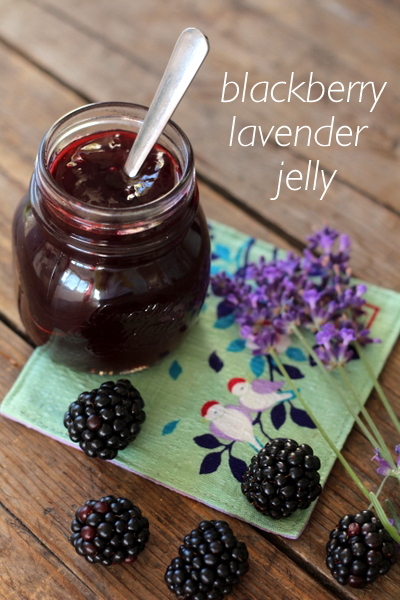 So I decided to make some homemade Blackberry Lavender Jelly and I’m so happy I did. It turned out to have the perfect amount of tartness and sweetness paired with a delicate hint of lavender. It’s a quick and easy recipe that is perfect for serving with fresh out of the oven biscuits. We’ve already gone through two of the three bottles so I think I’ll have to whip up one more batch before blackberry season is over. Maybe a Blackberry Lavender Crostata would also be appreciated by friends and family.